Rainbow Bundle Value Pack of Compatible HP LaserJet 507X Black and 507A colour printer toner cartridges. 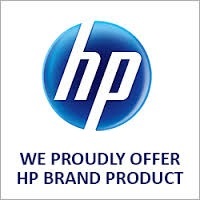 Independently manufactured and print quality guaranteed for use with HP Colour LaserJet Enterprise, flow, 500, M551, M551n, M551dn, M551xh, M570, M570dn, M571, M571c, M571f, M571dn, M575 printers. Compatible Printer Toner Cartridge Page Yields : High Yield Black 507X toner cartridge 11000 pages. Each 507A Cyan, Magenta & Yellow printer cartridges, 6000 pages. 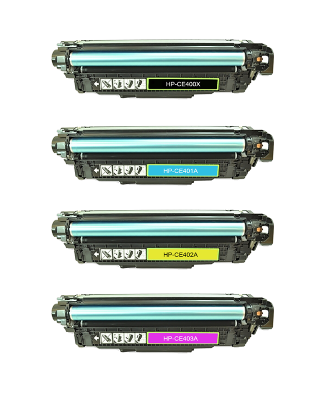 Made with the use of only premium quality materials, this compatible HP 507 alternative printer toner cartridge set ensures seamless integration compatibility with your HP Colour LaserJet M551, M570, M571 and M575 printer. Our compatible toner cartridge package includes the 11,000 page high yield 507X (CE400X) Black for longer text printing in between cartridge changes. Three 6,000 page each 507A colour cartridges CE401a, CE402a, CE403a complete the package. So for affordable printing without scrimping on print quality, choose a compatible 507A, 507X toner cartridge package and save hundreds of dollars in the process.